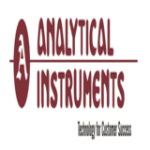 Established in 1989, Analytical Instruments (AI) has been in the forefront of supplying latest technologies and products to diverse markets in the Medical, Analytical and Agriculture sectors in Sri Lanka, reliably and efficiently. With over 20 years experience we have pioneered many innovative technology transfers to Sri Lanka. We supply quality branded products which include medical diagnostic products and reagents, high technology analytical equipment and instrumentation, animal husbandry products, general laboratory products, consumables and chemicals throughout Sri Lanka through our strong network of regional sales personnel. Our warehouse is stocked with many of the 2,000, items we offer the medical, scientific, agriculture and industrial markets. AI is renowned for having exceptional customer and technical support. Customers can rely on our team of highly trained technical Application Specialists to assist them in selecting a product tailored to their specific application needs. Our after sales service engineers and technicians are unsurpassed in their product expertise. The Company value system requires profits to be generated only through “righteous” products, service and work environment and that all stake holders benefit and experience “win-win” from the value addition process.